For many of us has begun the most beautiful time of the year, it is again Christmas market in Germany. It is the most contemplative time of the year, characterized by candlelight and pattering, Christmas stories and sometimes tingling cold. Gingerbread, Princes, Stollen, Spekulatius, Cinnamon starters and mulled wine are among the favorites, and they can be bought at many stalls on all Christmas markets. 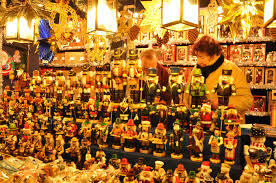 Of course there are also sales booths for Christmas articles or Christmas tree decorations, such as glass balls, Advent star, tinsel, or Christmas articles, such as cribs, Erzgebirge arches or incense figures. And enjoy the peaceful prehistoric time and find some great gifts for his loved ones. Christmas market is really a nice match on the feast day. In the next few days, we will introduce you to the most beautiful and largest Christmas markets in Germany and you can decide which one you would like to visit this year. It takes place in the Old Town of Nuremberg on the main market and the adjacent streets and squares, it developed from a weekly market. First documented in 1628. The name "Christkendleinsmarck" is documented by a town history from the year 1697. Do it with !! Also online. The first Christmas market in Cologne took place on December 5, 1820, as a "Nicolai market" on the Old Market. The Christmas market at the cathedral has an annual audience of around 5 million. 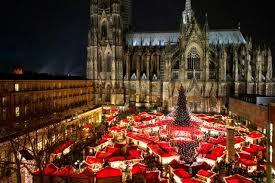 It is one of 7 Christmas markets in Cologne. It extends over the Domplatte and the Roncalliplatz, has about 160 sales stands with offers mainly from handicrafts and international gastronomy. Over 100 stage events with programpunts like "The singing Christmas market", many choirs and orchestral accompany the visit at the cathedral with Christmas sounds . Also worth a visit: the Heumarkt. 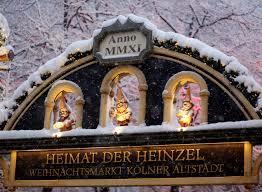 On this market is the home of the "Heinzel", here everything is under the motto: the dachshunds.